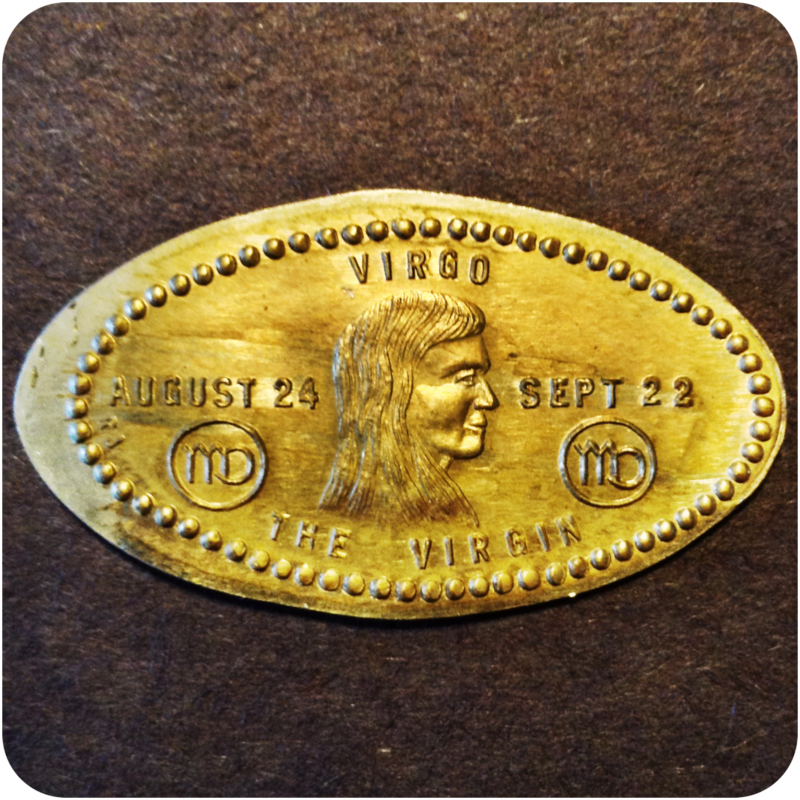 Virgo (♍)1 is the sixth astrological sign in the Zodiac. Virgo is the second-largest constellation. It spans the 150-180th degree of the zodiac, between 152.75 and 180 degree of celestial longitude. Under the tropical zodiac, the Sun transits this area on average between August 23 and September 22, and under the sidereal zodiac, the sun currently transits the constellation of Virgo from September 17 to October 17. Individuals born during these dates, depending on which system of astrology they subscribe to, may be called Virgos or Virgoans. The symbol of the maiden is based on Astraea. She was the last immortal to abandon Earth at the end of the Silver Age, when the gods fled to Olympus – hence the sign’s association with Earth. PS: This stunning elongated coin was created by Roller Ralph Jones.